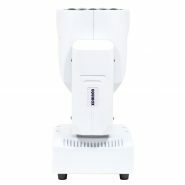 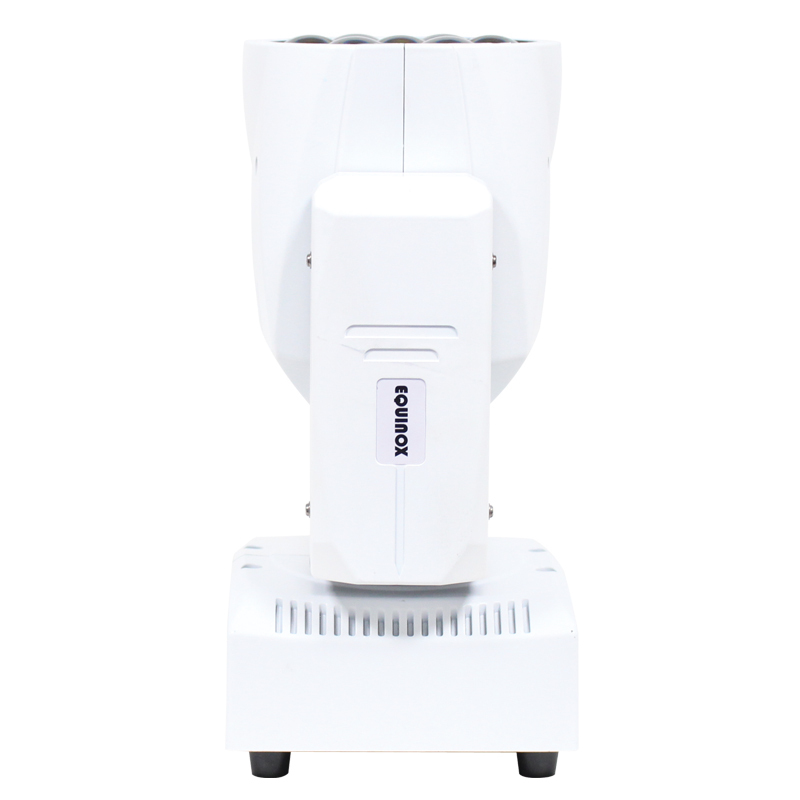 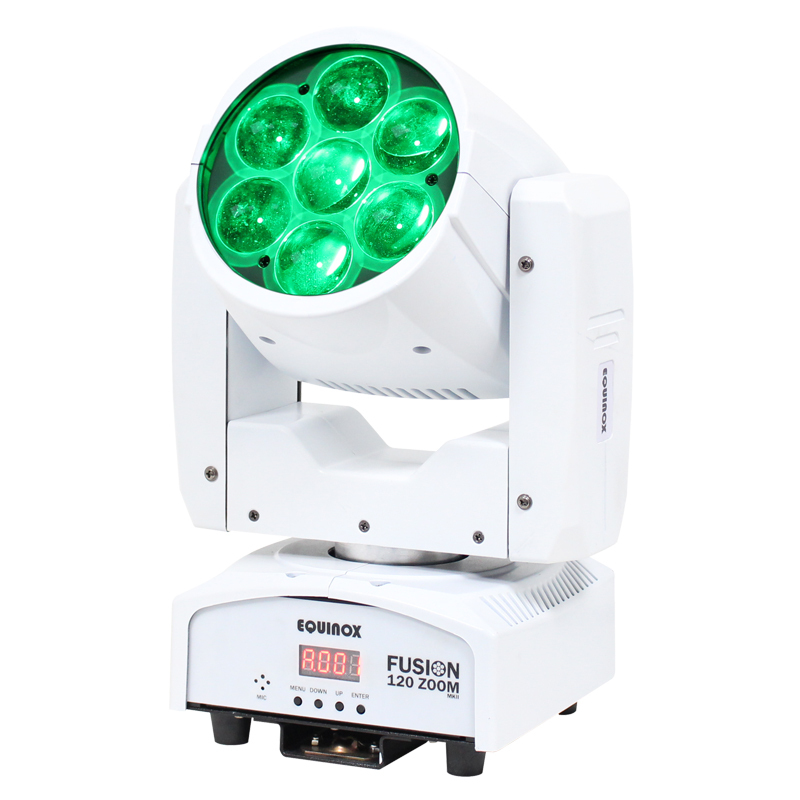 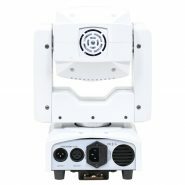 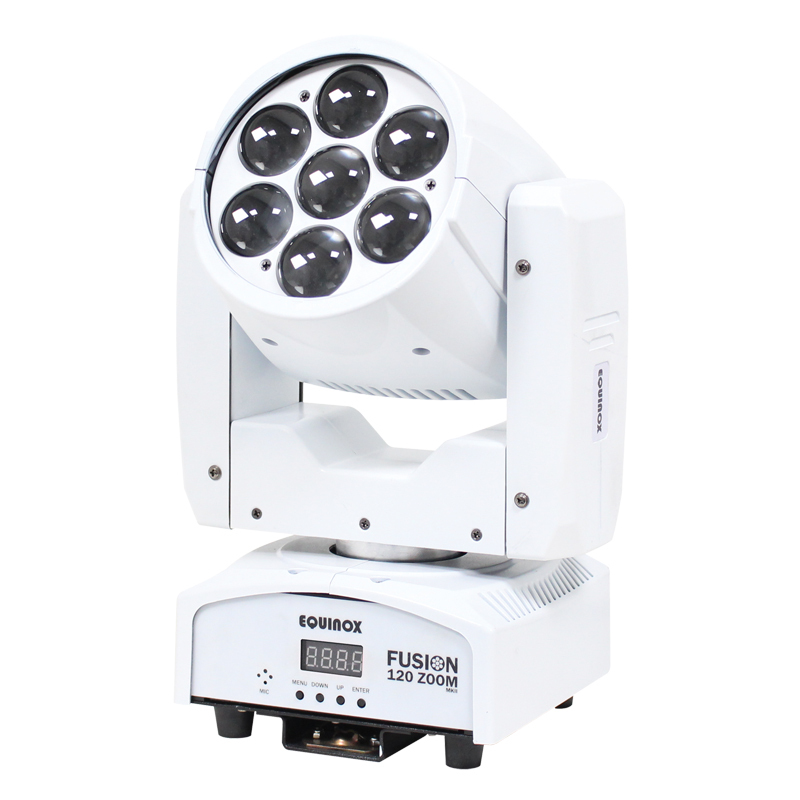 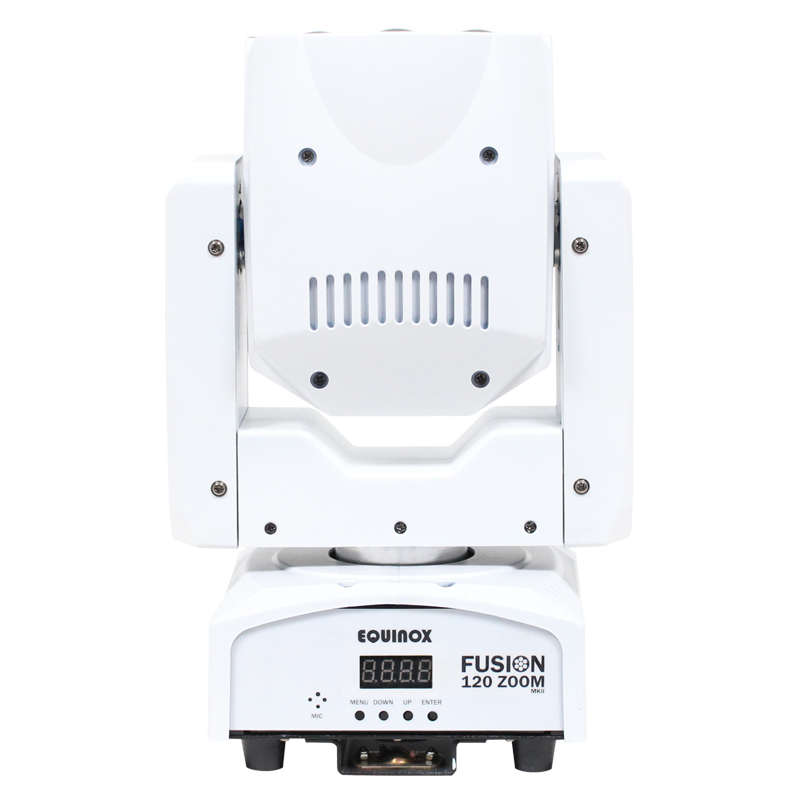 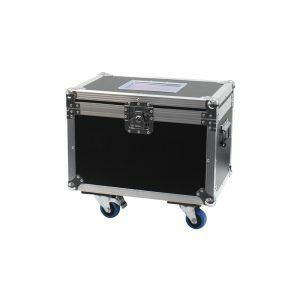 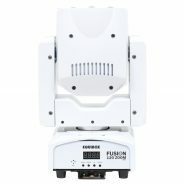 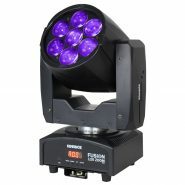 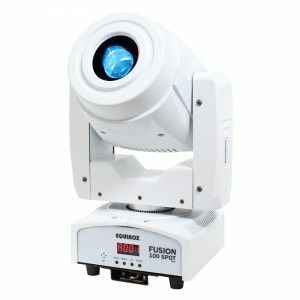 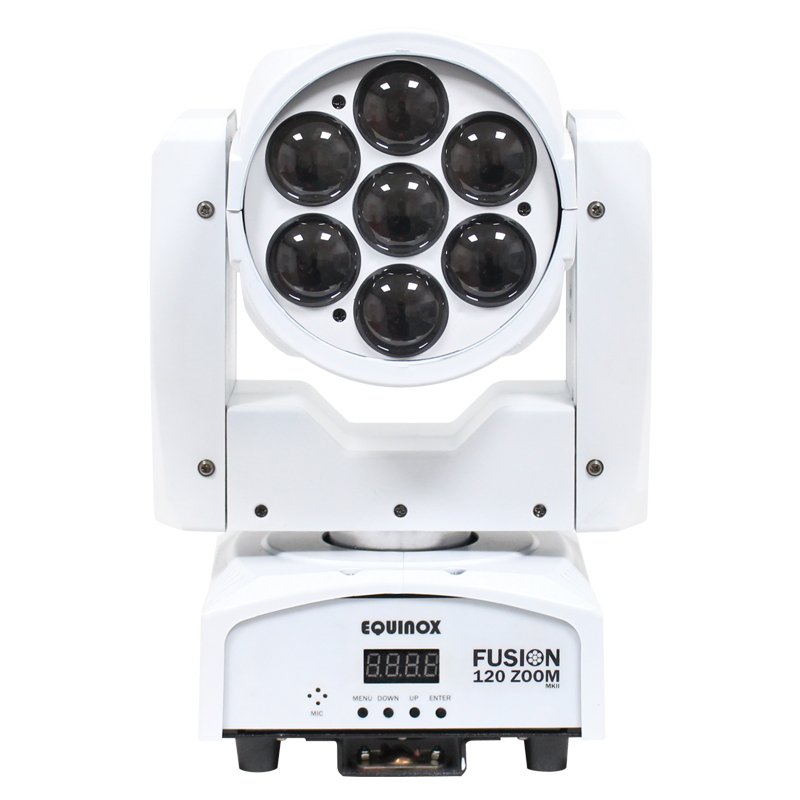 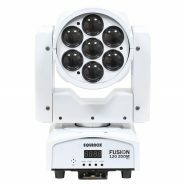 The Equinox Fusion 120 Zoom is a 7 x 12W LED Moving Head with motorised zoom allowing for a variable beam angle from 6° – 45°. 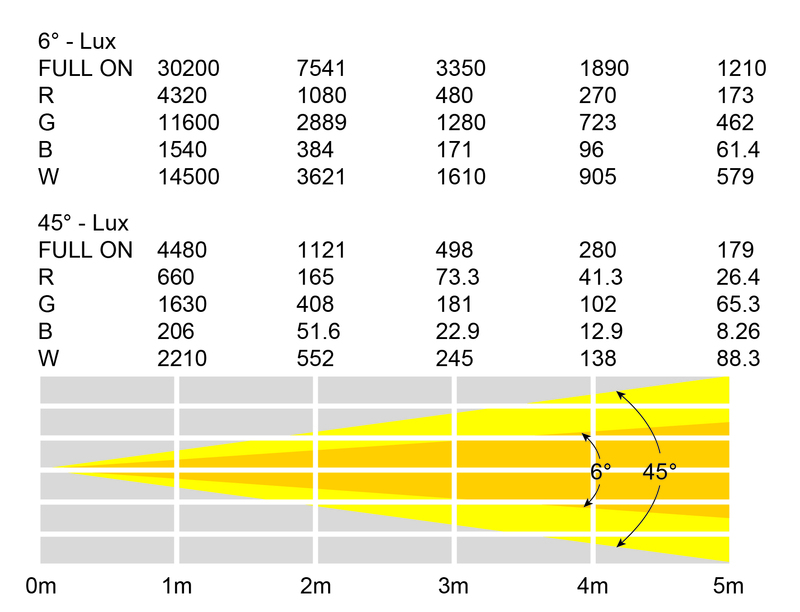 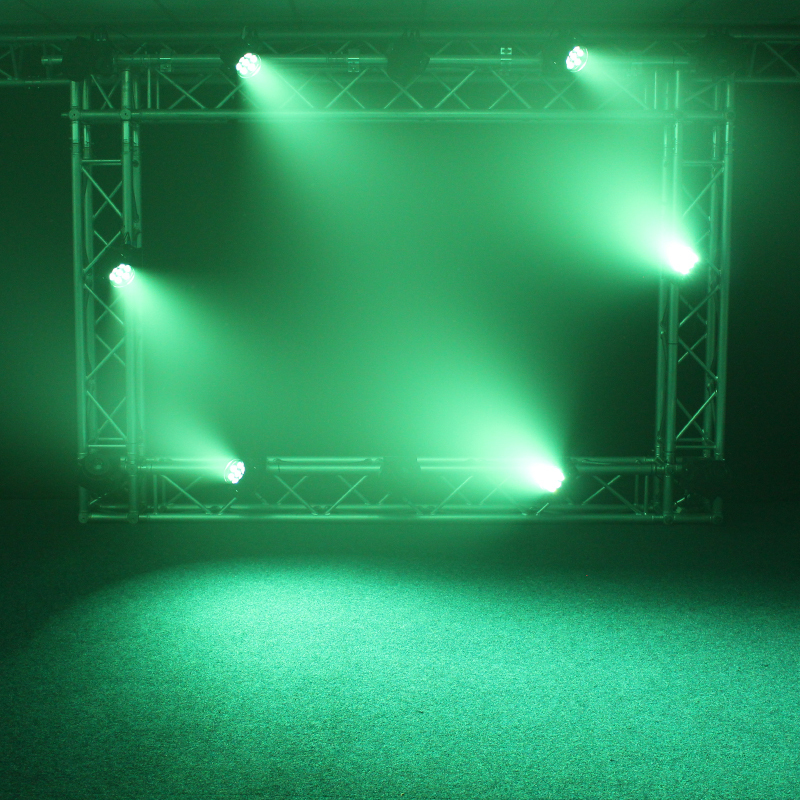 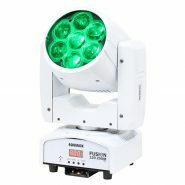 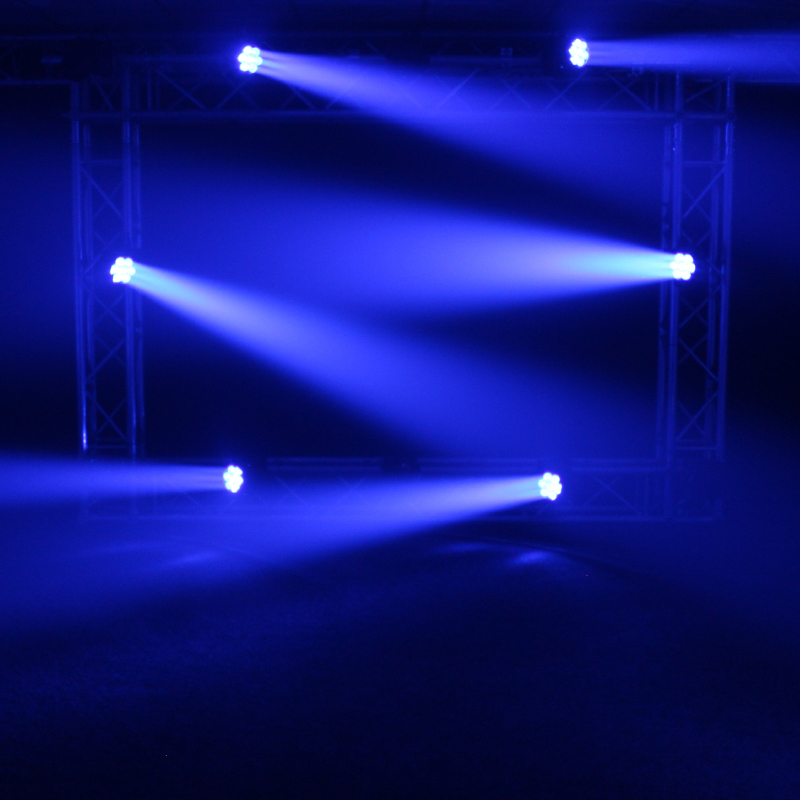 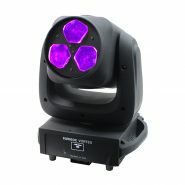 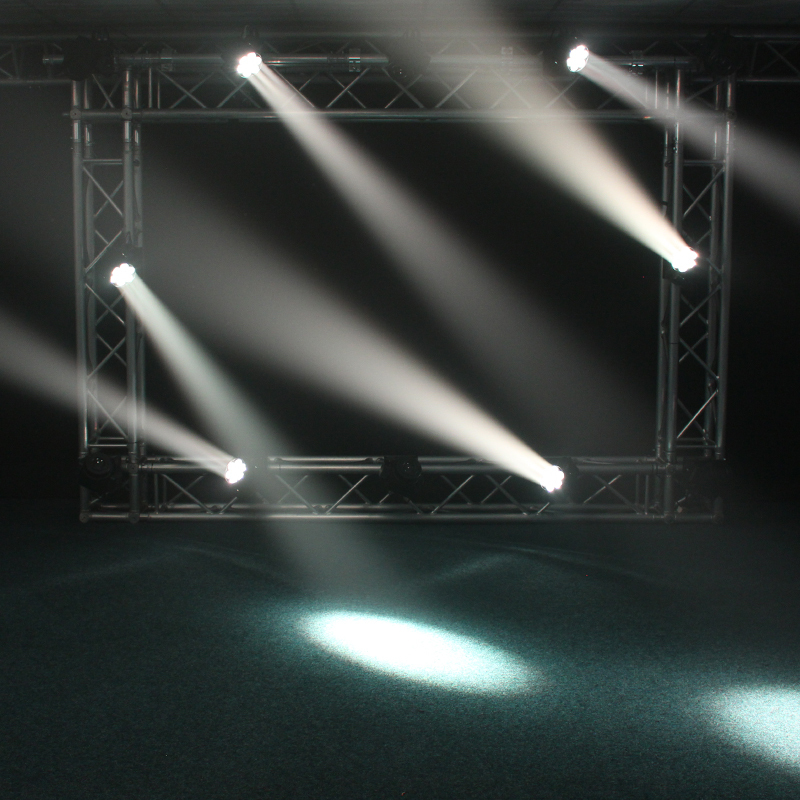 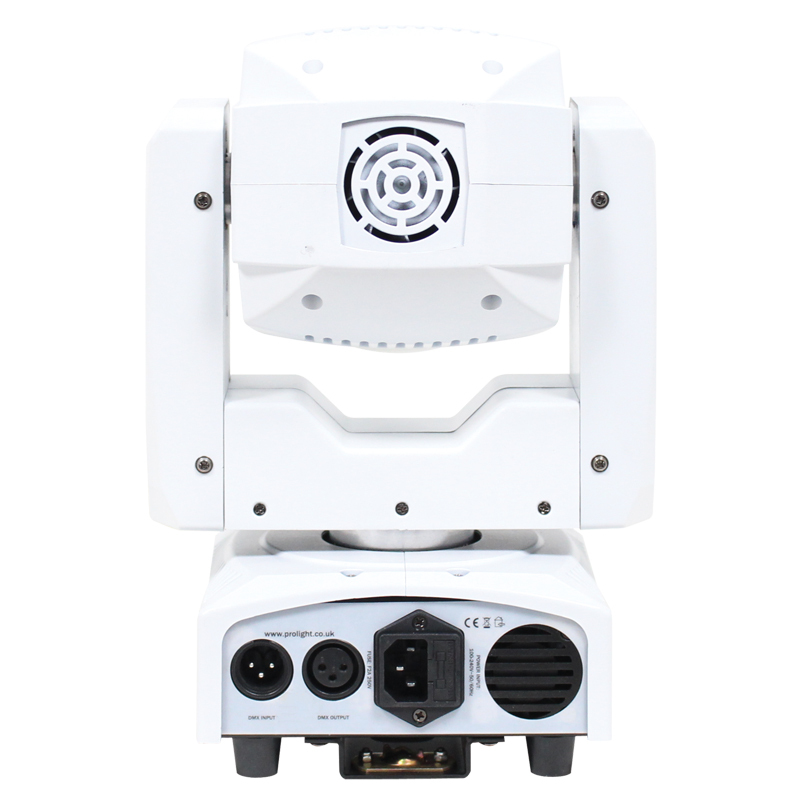 The fixture is powered by 7 x 12W RGBW quad-colour LEDs. 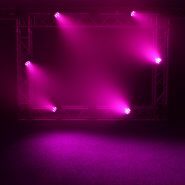 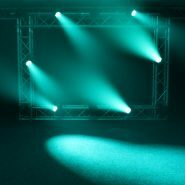 With its quick speed and built-in light shows the fixture brings stunning hues and colour washes to virtually any venue.